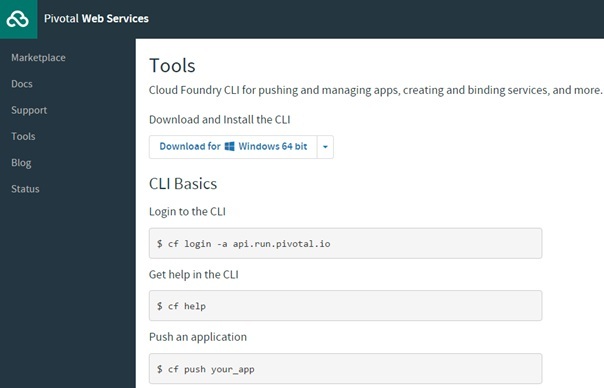 A very important and very practicable tool in Pivotal’s Cloud Foundry is the Command Line Interface (CLI). The setup zip-file can be downloaded on this page. After unpacking the zip-file to a folder of your choice we can start the setup procedure. Here we only have to choose the installation folder. After the installation we open a command bar and access the installation directory. There we might start with cf help for getting a glance on the available commands. Now you can log-in via the CLI by typing in your email which you used for creating the account and typing in the password (remains invisible) afterwards. 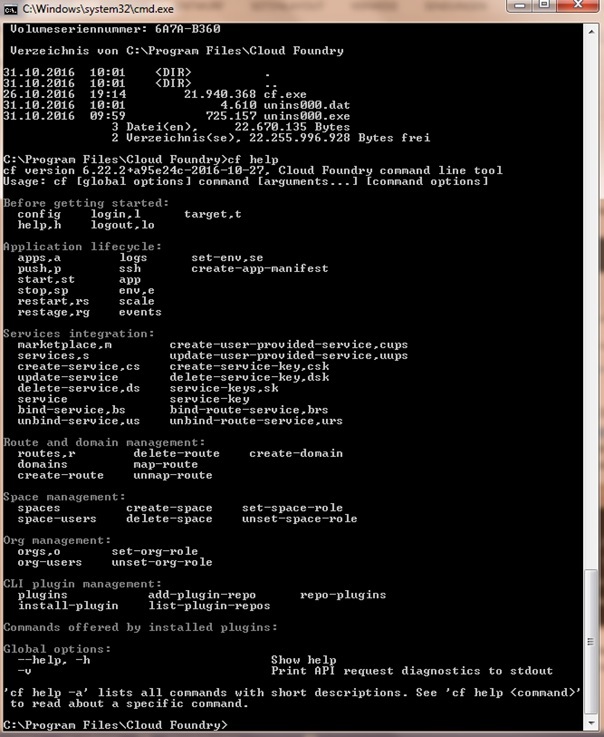 Now you finally have access to the various services of the Cloud Foundry via the command prompt. Congratulations! In the next entry we will discuss Organizations, Spaces, Users and Roles. Stay tuned!